About a week ago, the Nelson Mail ran this article on Warwick Young, one of our South island painters. 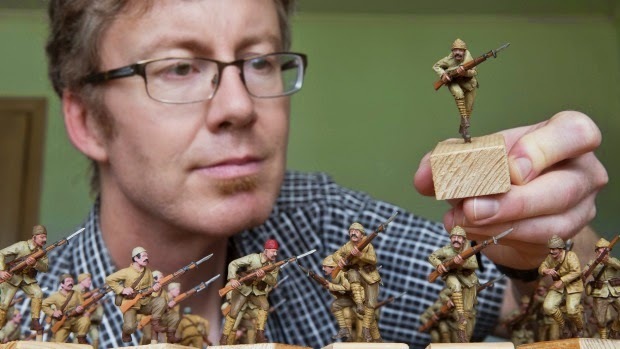 Painting every intricate detail on a 54mm tall figurine is no simple task, but Nelson man Warwick Young makes it look easy. He is painting 40 pewter models accurately depicting Turkish troops, right down to the bristled moustache. Let me know if your local paper does an article on this project, so we can re-post it here on the blog. Great Article Warwick, well done.